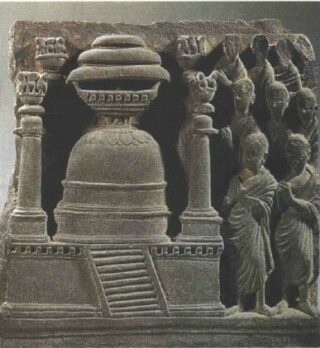 During Buddhism’s period of glory, the Indian state of Bihar was literally dotted with stupas. Some marked places where events in the Buddha’s life had occurred; others, at important monasteries or population centers, enshrined relics of the Buddha or of famous saints. While a few are remarkably well preserved, most are little more than grassy mounds, many with Hindu temples on top. Traveling through Bihar I located the remains of at least forty stupas although there could easily be two or three times more than that. Here are the stories of five of the more interesting and accessible ones.